Today, I get to interview Jerusha Agen, a lifelong lover of story–a passion that has led her to a B.A. in English and a highly varied career. 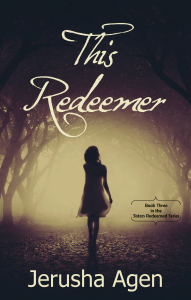 A member of American Christian Fiction Writers, Jerusha is the author of the Sisters Redeemed Series, which includes the titles This Dance, This Shadow, and This Redeemer. 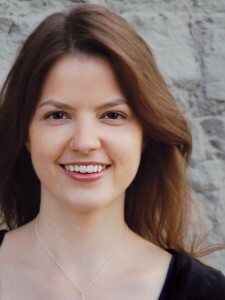 Jerusha co-authored the e-books A Ruby Christmas, A Dozen Apologies, and The Love Boat Bachelor from Write Integrity Press. Jerusha is the mastermind behind The Love Boat Bachelor. 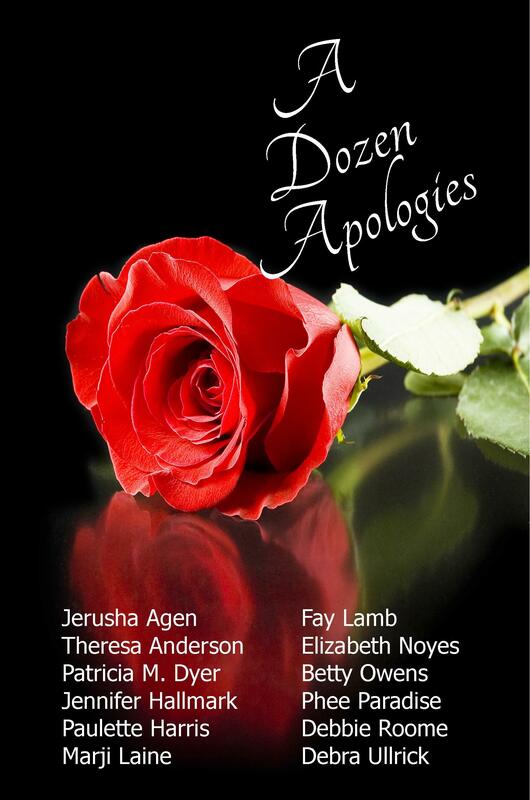 The job fell to her because her irresistible character, Brent Teague, lost his bid for Mara Adkins, the hero of Write Integrity Press’s 2014 Valentine’s novella A Dozen Apologies in which the readers voted on their favorite hero. Brent lost by a narrow margin, and we felt he needed some closure. Jerusha, would you introduce Brent to the readers? Tell us what he’s done since last Valentine’s Day, and what he has gotten himself into. I’d love to. I’m sorry to say that Brent has not been doing well since last Valentine’s Day. His heartbreak over being rejected by Mara a second time is a wound that just refuses to heal. As Brent’s sister, Roselle, always reminds him, he’s pathetic to pine another year over the woman who has never loved him as he dreamed. But since no other woman has occupied Brent’s heart since he was a kid, his heart just doesn’t know how to keep going without her. Brent plugged away for most of the year since last Valentine’s Day, continuing his duties as the pastor of a small, start-up church in Spartanburg, SC, and staying involved with underprivileged, damaged kids at the children’s shelter. The work as pastor and with the children had always been so fulfilling, but since Mara’s return the joy and purpose seemed to be missing. When Brent heard of Mara’s wedding to another man, the news was like the final blow to his heart. Up until her marriage, he held out hope that God would work a miracle and she’d still choose him. Now, Brent just has pain and, even worse, doubts. He was so sure that Mara was the woman for him, that she would love him and they’d live happily ever after together, especially now that she’d become a Christian. If he was wrong in his understanding of God’s will with Mara, who’s to say Brent isn’t equally mistaken in other areas? Did God really call Brent to be a pastor, or did Brent make a mistake there, too? With everything in his life in question, Brent mopes around in confusion until his feisty older sister gets sick of it. She boots him out of Spartanburg with the help of Brent’s old college buddy, who works on a cruise ship. Roselle and Brent’s pal push and pull Brent onto the ship to work as a temporary chaplain for a two week cruise. Just when Brent starts to think a cruise might be just what he needs to get away from thoughts of romance once and for all, he discovers a pertinent bit of information his sister didn’t tell him. Brent hasn’t joined just any vacation ship. It’s The Love Boat cruise! I want to know where you got the idea for Brent to take a Love Boat cruise as a chaplain. From God! Seriously, I could not come up with any ideas on my own without God enabling me to use the imagination He’s given me and sometimes giving me quite a bit of extra prodding until I finally reach the right idea. The best part of writing for me is getting to create with the Creator of everything. Coming up with The Love Boat Bachelor premise was definitely one of those times when I knew God was directing me to the right idea at the perfect time. When I received the assignment to come up with Brent’s sequel to A Dozen Apologies, I knew I had a very tough act to follow. A Dozen Apologies was a wonderfully creative idea (by you, Fay!) and so much fun for authors and readers alike. I wanted Brent’s love story to be just as fun, romantic, and exciting. I knew the sequel had to fit a similar format as the first Valentine’s novella, since we wanted readers to be able to vote in The Bachelor TV show style for one of many lady loves. To realistically meet that many women in a short period of time, I thought Brent better get out of Spartanburg (which he was eager to do because of Mara’s homecoming there anyway). 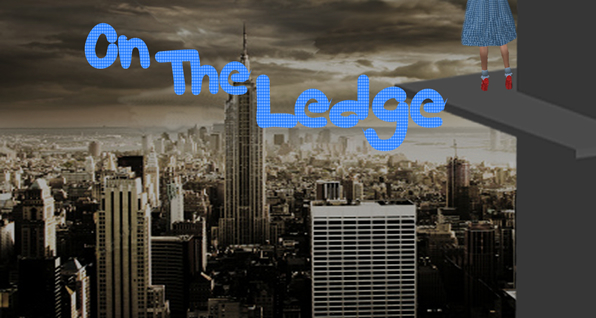 With those parameters in mind, I actually did something I don’t usually do to come up with an idea. I decided to do a search for old sayings or phrases that had to do with love or bachelors, hoping to find a title I could use as the springboard for the premise. 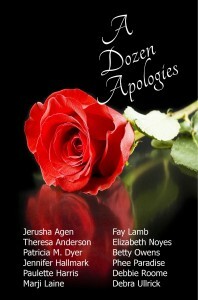 A Dozen Apologies had such a catchy title, I wanted to find the same kind of memorable title for the sequel. After several ideas that were duds, I got a little worried. Nothing was working. I was about to go with an idea that was good, but not great, when the Lord led me to start thinking about trips Brent could take that would somehow get him to different locations where he could meet many lovely women. The idea of a cruise came out of that and then the irony of Brent, the sworn bachelor, ending up on a romantic cruise was the obvious icing on the cake. 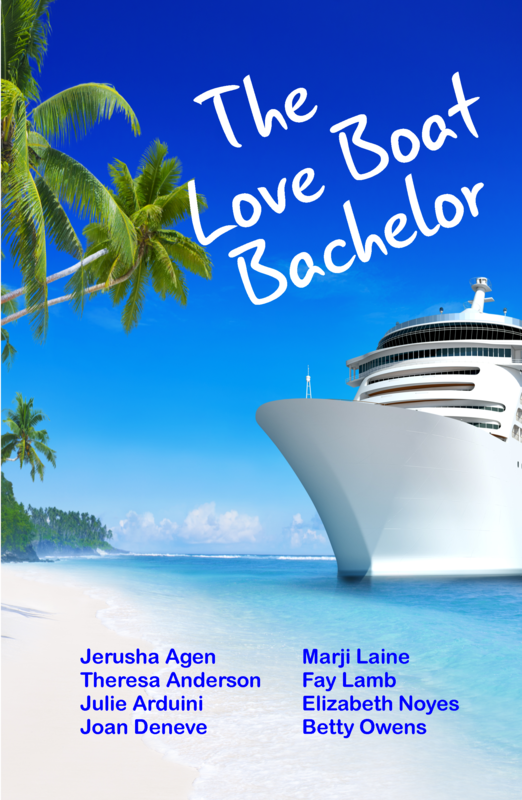 And The Love Boat Bachelor was born! You provided Brent with some great backup in secondary characters. I’d love to hear how you came up with them and whether or not Brent or any of the other characters are a little bit of someone you know or where you got the idea from them? One of the secondary characters, Brent’s sister Roselle, is actually based on a longtime friend of mine. This friend is one of the most unique individuals I’ve ever met, and I quickly learned to love her personality and became fascinated by her unexpected quirks. She’s a tiny, no-nonsense, intimidating, fiercely independent woman. She’s super confidant, painfully blunt, extremely intelligent, hilarious, and full of contradictions and surprises. You can’t make up a character with as much depth as my friend has, so I thought I would just borrow on that enigmatic appeal and base Roselle on my friend. Of course, I’ve fictionalized her a bit, and my co-authors naturally took Roselle farther away from her beginnings in their interpretations of her character. But I think that depth that one wants in secondary characters is still there in Roselle throughout, anchoring Brent and our readers in the fun reality of his family life. Would you mind sharing with us something that you know about Brent that no one else knows? While this fact is hinted at in The Love Boat Bachelor, readers aren’t actually told how Brent came to know Christ. When Mara publically humiliated Brent by rejecting him in front of a crowd of students at college, twenty-year-old Brent had nothing to fall back on in his despair. His lovelorn heart, which had belonged to Mara since high school, was shattered. Brent decided to drop out of college and was on his way home when he received a phone call from Roselle. Their mother had died. Brent’s mother was only forty-seven years old, and her death from a heart attack was stunning and quick. As Brent continued to drive home, he wondered if there he could go on with his life at all. Was there even a point? But when Brent arrived home, he went into his old bedroom and sat on the bed. There, on the nightstand beside him, sat his mother’s Bible. She must have set it there after the last time Brent had been home. That visit was a year ago. Brent hadn’t returned because of the argument he had with his mother when she tried to tell him he needed this Jesus who had saved her. His mother’s words rushed back to Brent like a flood and he remembered the passionate tears and earnest yearning in her voice as she pleaded with him to listen and believe. Brent picked up his mother’s Bible and through the words on those pages, the Lord answered the prayers of Brent’s mother. He healed Brent’s broken heart and filled it with more love than Brent had ever known. Jerusha, you write more than multi-collaboration novellas. I love your Sisters Redeemed Series. Would you share a little bit about that series? Thanks, Fay. 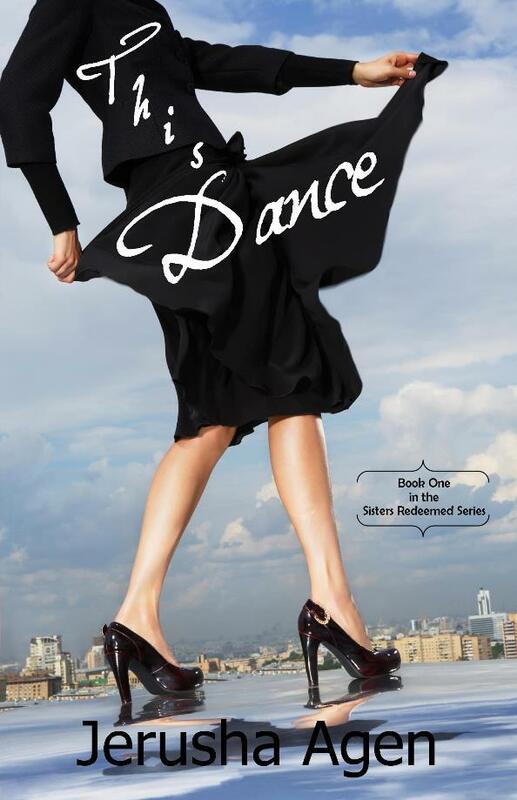 The Sisters Redeemed Series begins with This Dance, the story of Nye Sanders, a former tango dancer who’s running from a painful past. God uses a handsome lawyer and other colorful characters to make Nye face the anger and fear that controls her life. One of those pivotal characters is Oriana, Nye’s sister. 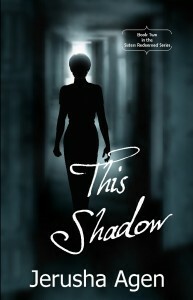 Oriana gets her own story told in Book Two, This Shadow. Oriana’s sunny outlook and bright disposition make her the opposite of her sister, but can Oriana’s optimistic faith withstand a devastating tragedy? Do you have any new ventures in the works? If so, we’d love to know what those are. I do! I’ve turned to writing in the suspense/romantic suspense genre now and am busily working to finish a novel about a Chicago social worker and a special orphan she encounters (along with lots of danger and thrills, of course!). You’ve given us some wonderful insight into the story. Thank you so much! Now, I’m going to head over to Write Integrity Press and read the first chapter. I can tell everyone this because it doesn’t have an outcome on the voting. Shh…Jerusha wrote this first chapter that starts us out on Brent’s wonderfully funny, often poignant journey. 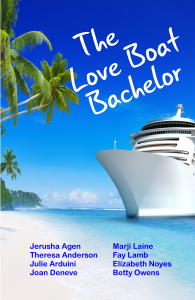 Read the first chapter of The Love Boat Bachelor here. 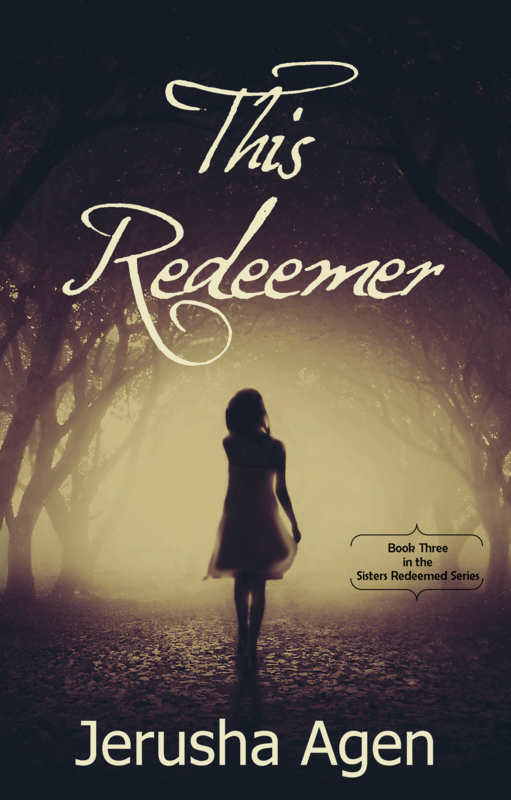 Jerusha’s Sister’s Redeemed series is one that I highly recommend. She’s famous for her upbeat outlook. Then the world goes black. Oriana Sanders is always happy. And why shouldn’t she be? She enjoys a close relationship with God and a purpose-filled career teaching troubled kids. She even has the potential for romance in her sister’s friend, Nicanor, whose dark good looks and brooding manner make him an intriguing project for Oriana. Oriana’s attempts to reach Nicanor with the joy of the Lord are brought to a halt when a confrontation with her student’s drug-dealing brother ends in tragedy. Facing darkness she has never known, can Oriana learn to forgive the unforgivable and find her way through the shadows to the light? Looking only for shelter or cash, Charlotte finds a family she longs to call her own and a gentle man she could learn to love. But if Tommy catches up with Charlotte, these strangers could learn the truth about her. Will they send her back to Tommy? Or can a Father’s love set her free?